From what I understand after tremendous amounts of research (read: about 8 minutes of Googling), The Liebster Blog Award nominations are given to the bloggers who are awesome. I have been nominated twice. That makes me twice as awesome. Ok here are the facts. Liebster means “darling” or “beloved”. It’s like the German equivalent of Million Dollar Baby’s “Mo Chuisle”. 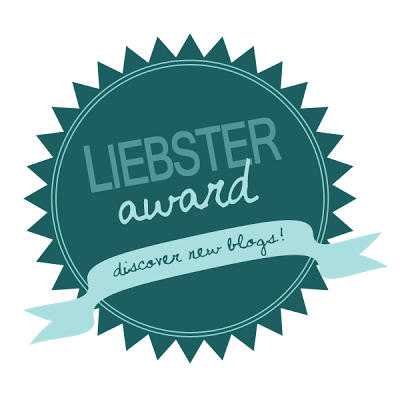 The Liebster Award was founded years ago to help bloggers support and promote one another by nominating 11 up and coming blogs by asking 11 random questions, after posting 11 random facts about yourself, and answering 11 random questions from the blogger who nominated you. I have no idea what the significance of the number 11 is, but that’s the way this whole thing works, apparently. 1. My first name is Lady. I was conceived on the month Prince Charles and Lady Diana got married. My mom, obviously, was really into the hype back then. 2. 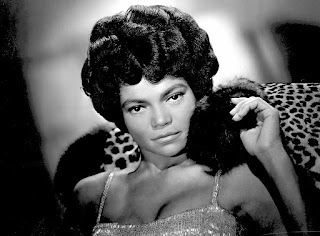 I was also named after the late, great, Eartha Kitt. Although I can’t sing quite like her, I can sing. 3. I was the Harry Potter Quiz Bee Champion of my University. This is one of my greatest accomplishments. 4. I play a few musical instruments, but my favorite is the ukulele. I looove my ukulele! 5. Remember the music video of the song, “Escape” by Enrique Iglesias? Remember Anna Kournikova and how hot she was in it? That was it. That was the reason why I grew my hair down to my bum. 6. I have a special talent. It is called ‘Facial Recognition’. It allows me to spot Celebrities from miles away. One time I recognized someone, and he wasn’t even facing me. I recognized him from his back (Tim Allen). I always come up to ask to take photos with them and 90% of them oblige. The other 10% are always nice about saying no. By the third time I’ve bumped into Adam Sandler, he was the one who recognized me. I have a Celebrity Encounters photo album on Facebook. I am not a stalker. 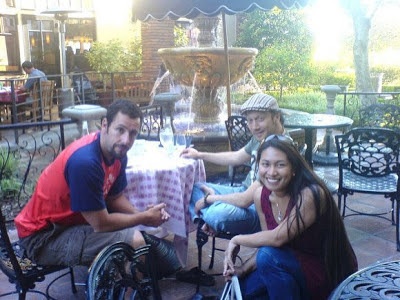 Adam Sandler, Rob Schneider and Me! 7. I secretly enjoy (well, obviously not a secret anymore) going to the movies by myself sometimes. Not all the time. Just sometimes. It’s therapeutic. 8. You know that cups song that Anna Kendrick did at Pitch Perfect? Her audition song with the slapping of the cup? Yeah. I can do that. 9. 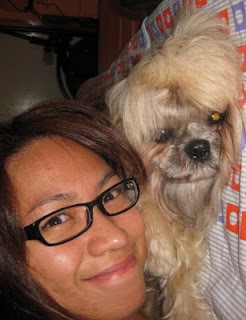 I have a dog. Her name is Phoebe, after Phoebe Buffay from Friends. 10. My favorite country so far is Scotland. When I visited Prague in Czech Republic, it came close to beating Scotland that I was back and forth for a while. After seeing the movie, Brave, Scotland went straight back up to number 1. 11. I am sad that I’m only allowed to write 11 of these facts. 1. What is your favorite word in another language, and what does it mean? Cwtch. It’s Welsh for tight cuddle or affectionate squeeze. The closest definition is "safe place". I love a good cwtch! 2. What do your friends and family think about your travels? I think he means well. My family is excited for me, but my dad took a little convincing. He was mostly worried, but I think he’s warmed up to the idea now. I’m too lazy to describe it. I’ll just say what it is. 4. 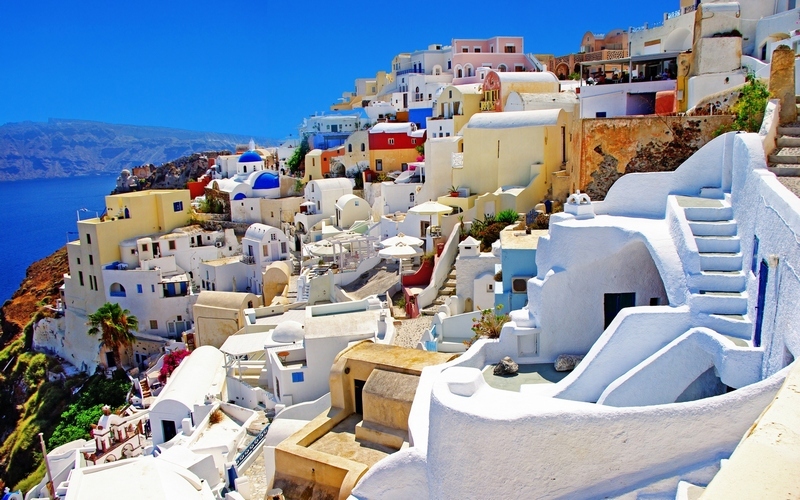 What’s one country you changed your mind about after visiting? It might be Venice in Italy… not a country but a city. I had high hopes for it, and I had it pegged for one of my favorite destinations, but I was disappointed. It was too touristy, and I thought it was overhyped. I know… sad L It’s a beautiful place, just not what I had expected. 5. What’s your favorite piece of footwear while traveling? My new Glagla water shoes! 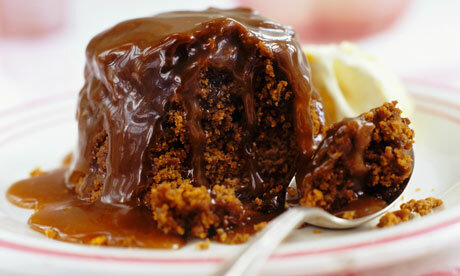 Sticky toffee pudding? That’s a dessert. Does that count? How about marmite? Scones with clotted cream and jam? 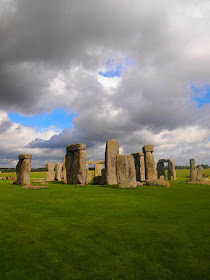 I am an anglophile. 7. Would you rather drink snake blood or eat dog in Vietnam? I don’t think I can eat a dog. I’ll drink the blood. 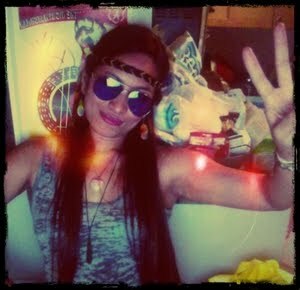 I watch True Blood. 8. If you were stranded on an island, what 3 books would you want to have with you? 9. Post your favorite wildlife photo. 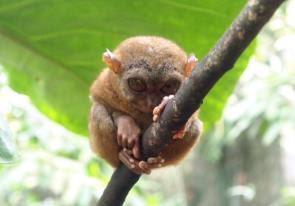 This is a Tarsier from the Philippines. Is that considered wildlife?? 10. Beach or Mountains? Lightning or Thunder? Savory or Sweet? 11. Ever had romance abroad? Where is your favorite destination so far? What is your favorite thing to photograph while abroad? Are you more practical or luxurious? What are your best travel purchases? When did you first get bitten by the travel bug? Share your most favorite travel photo ever! 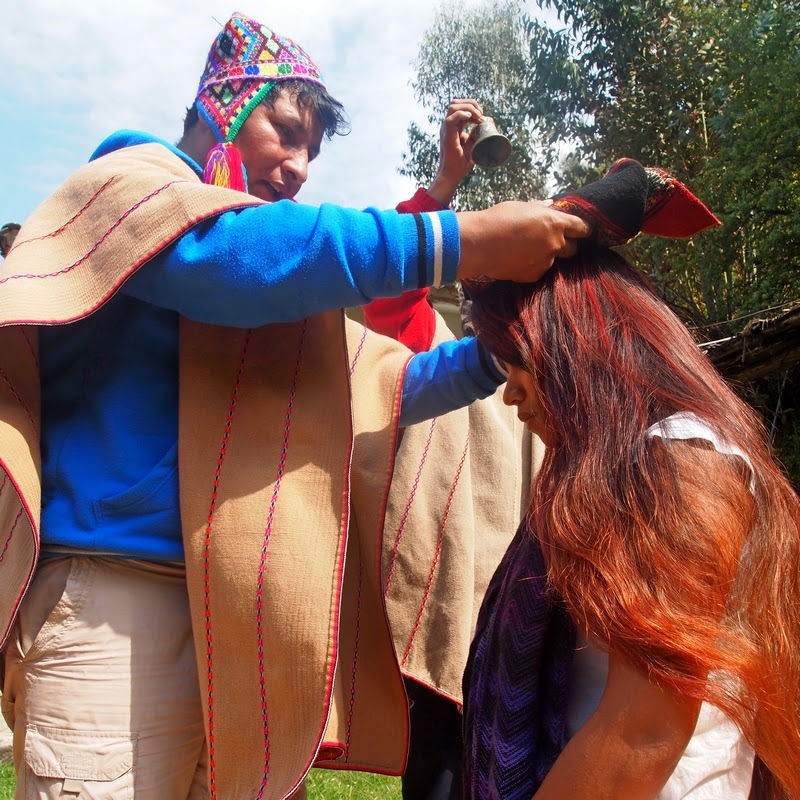 Have you ever met someone while traveling that you really connected with? Are you still friends? Would you rather fly, sail, drive or walk?